MSI strives for remarkable innovation and a life-like gameplay experience for gamers worldwide. 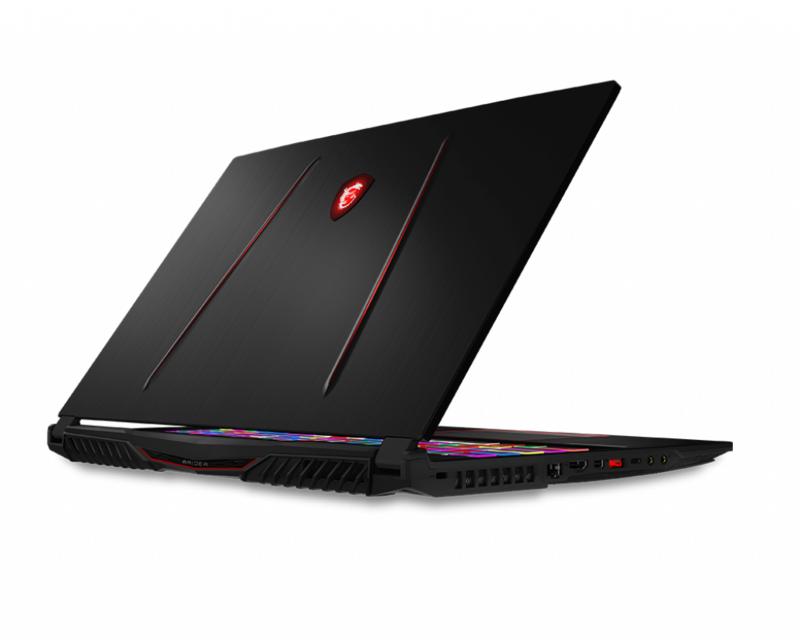 Exciting news earlier today at CES 2019 Las Vegas on MSI’s new gaming laptops that will be launched with the latest NVIDIA® GeForce RTX™ graphics. The brand new 17.3” GS75 Stealth stood out from the booth with its stylish look: sandblasted metallic black finish with elegant gold trim and The GS65 Stealth, the 15.6” variant with respectable performance and an ultra-portable design, has been awarded the CES Innovation Award. With real-time ray tracing and AI-enhanced gaming experience, NVIDIA® GeForce RTX™ graphics pushes the boundaries of laptop graphics. This powerful graphics takes the gaming out the frame, enabling an experience of realism. Aside from the performance boost, the new GeForce RTX™ goes beyond the traditional rendering techniques to present better in-game lighting with detailed reflections, shadows, and shaders t[o take full advantage of the new graphics, MSI has also enhanced its exclusive Cooler Boost design, effectively reducing operating temperatures. A roaring beast is living in this compact 4-sided thin bezel chassis. A direct descendent of the ultra-thin and ultra-light gaming laptop, the GS75 continues the legacy with more powerful performance in a sleek, trim body. Equipped with up to the latest GeForce RTX™ 2080 graphics, this beast offers stunningly realistic graphics in a surprisingly small 2.2 kg, 18.95 mm size, with dimensions up to 60% smaller than regular 17” laptops. In addition, the GS75 has an immersive 17.3″ 144Hz IPS-level display, providing gamers a panoramic view of the playing field. The golden hinge accent and aluminum alloy add to both rigidity and aesthetics. Another impressive feature is the extra-large touchpad with a silky smooth glass surface, which highly improves responsiveness and pinpoint accuracy. With the 1st passive radiator design on laptop speakers, the GS75 is able to deliver stunning audio bass and “extra oomph”, providing more powerful sound effects than ever in a small chassis. 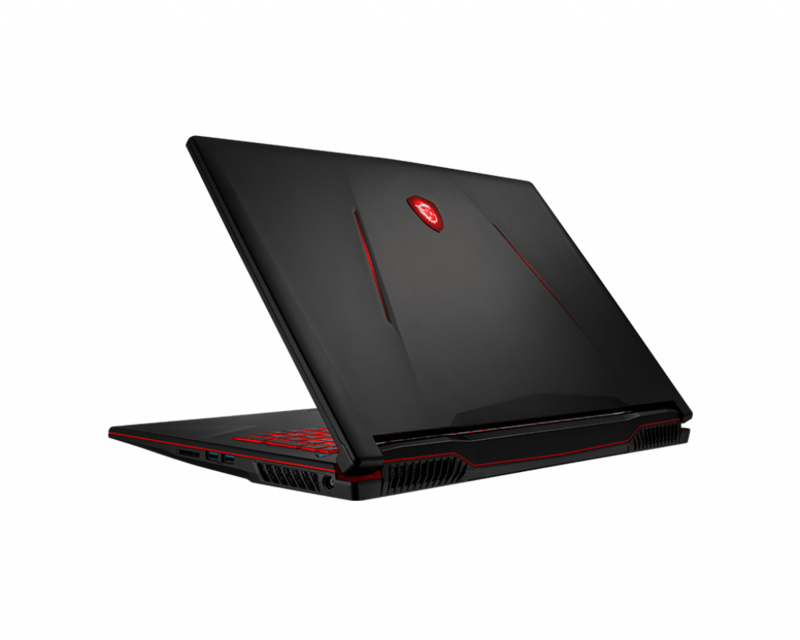 If you prefer the classic 15.6″ counterpart, the award-winning GS65 is also a great choice, weighing less than 2 kg and featuring the latest GPU and CPU. The GS series breaks the stereotype of bulky and heavy gaming laptops, and it offers exceptional on-the-go gaming experience. Craving new gaming equipment? 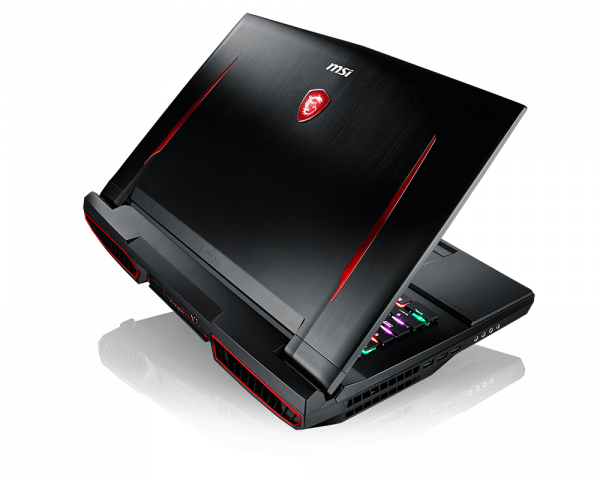 MSI also unveils its newest lineup to fulfill various gamers. 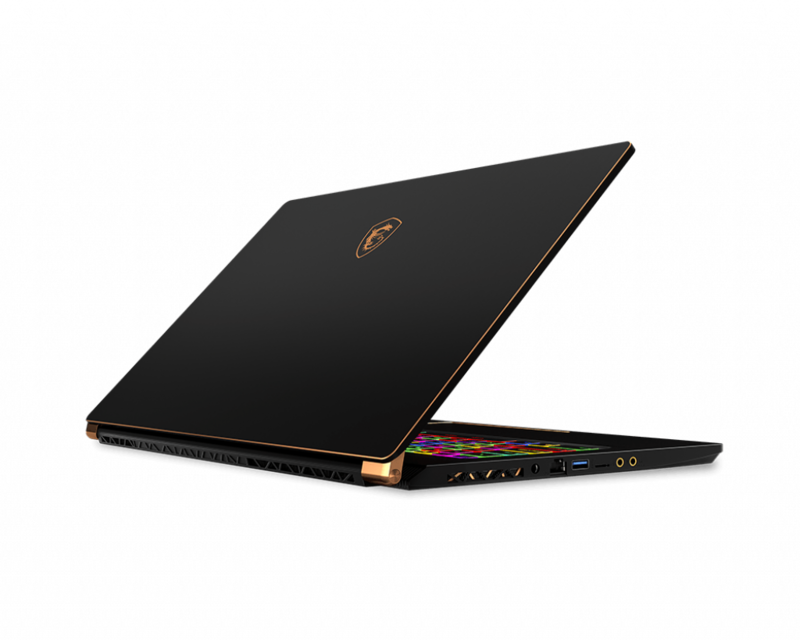 The GT Titan, the epic-class flagship gaming laptop, is able to develop the greatest potential for gamers through the latest RTX™ GPU. This uncaged monster is not just powerful, but also faster than ever. To ensure ultimate power, Cooler Boost Titan greatly reduces the operating temperature for taking performance to the extreme. With 4K UHD display, the GT Titan delivers stunning, lifelike details on game screen. The GT Titan and its top-notch performance is the perfect choice for desktop replacements. Unique aesthetics and aggressive design go perfectly with powerful performance. The GE63 Raider lights up the battlefield with RGB lighting on both its cover and keyboard. Meanwhile, the GE75 Raider impresses with its 3D Dragon Spines anodized red diamond-cut finish. The up-to-date GPU and CPU with MSI-exclusive Cooler Boost 5 optimizes for beast-like performance. The GE Raider presents the best gaming experience for enthusiast gamers who long for the latest AAA titles. Looking for a more accessible option without compromising utmost performance? The GL series, now upgraded with new power from GeForce RTX™ graphics, is more powerful and faster than ever. The Giant Speakers by Dynaudio allow gamers to further immerse in sound. The GL series features all the essentials and offers the best bang for your buck.